Borusan Holding has benefited from Dr. Argüden’s services as a strategy advisor and as a non-executive director in a number of Holding companies. 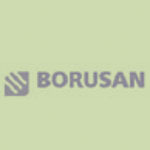 Borusan Holding has already become an industry-leader in Turkiye, distinguished with the implementation of the Six-Sigma plan and successful business development strategies, as well as with the outstanding competency of its employees, and has consequently received various Quality Awards. He helped define Borusan Holding as “a Group that offers products and services to address the infrastructural needs of institutions”.